THE NUMBER OF homeless people in Ireland dying due to alcohol or drug abuse increased by 57% in a nine-year period, according to new research published in the Irish Medical Journal. The study also looked at the rates of self-harm and methadone use amongst homeless people in Ireland over a period of time. The researchers said that “there is an urgent need to adequately resource and coordinate those services which aim to address factors (social and health inequalities, mental ill-health and addiction) which lead people into – and prevent them exiting from – homelessness”. Using data from the Central (Methadone) Treatment List, National Self-Harm Registry Ireland, National Drug-Related Deaths Index, they found that the number of homeless people on methadone increased from 2% in 2011 to 7% in 2014. While the rates of self-harm has increased among the general population as a whole, there were also increases among homeless people. The proportion of homeless people who had been recorded to have self-harmed increased from 3% in 2007, to 5% in 2014. This translated to a 49% increase in presentations of self-harm in this time, with the increase more pronounced in women. 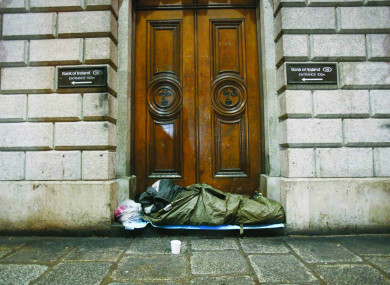 Between 2004 and 2013, meanwhile, there were 494 deaths nationally of individuals known to be homeless, almost two-third of which were in Dublin. In their discussion, the researchers said that their results show that the “risk of self-harm among people who are homeless are 22 times higher compared to those with a fixed residence”. “Evidence across a range of parameters suggests that prevention and treatment of drug and alcohol addiction within the homeless population has not been adequately addressed over the past 20 years,” they said. Almost 40% of this population now identify drug and/or alcohol problems as the primary cause of their homelessness and 80% of those who are homeless have used drugs. In contrast, just 27% of the general population in Ireland have reported ever taking drugs. In addition, the proportion of the homeless population who are current drug users appears to have increased dramatically over the past 10 years. The researchers said that while a number of public health harm reduction policies have been implemented or are currently being considered, such as safe injection centres, “none have been developed with the homeless population specifically in mind”. Email “No public health policy has 'been designed with the homeless population specifically in mind'”. Feedback on “No public health policy has 'been designed with the homeless population specifically in mind'”.